Celebrity make-up artist Karin Darnell has signed to AJC 93 PR. 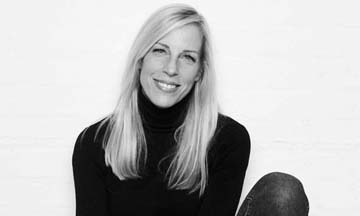 Karin was the make-up artist to The Spice Girls throughout their time topping the charts and on individual projects. Karin then went on to work within the music and TV industry and was Rihanna’s make up artist for 6 years of her career, working on over 12 videos and 2 movies. Other celebrity clients include; Victoria Beckham, Nicole Scherzinger, Kim Kardashian, Kourtney Kardashian, Jessie J, Cheryl and Paloma Faith. Editorially and for advertising campaigns, Karin has worked with many famous photographers such as Annie Leibovitz, Terry Richardson, Rankin and Ellen Von Unwerth. She has created beauty and fashion shoots for publications such as Harpers Bazaar, Marie Claire and Glamour and campaigns for clients such as Nivea, Herbal Essence and M&S.